You are here : ResearchFarm » Uncategorized » A new golden age for CPG? The FMCG industry is following a clear segregation trend in terms of ingredients. Broadly speaking, ingredients have separated into three distinct areas: better for you, less bad for you, clean label. Better for you is all about enhancement – such as functional foods and added protein. Less bad is about the reduction of sugar, salt, harmful fats and artificial taste enhancers (and by a stretch glutenfree etc). Clean label is unadulterated and organic. In some sense this is nothing new, but the strength and quality of these developments is more radical. In almost every category large brands are losing market share to small brands. One of the reasons is a change in demand, due to the millenial shopper and changed preferences. These shoppers focus on uniqueness and perhaps personalised products. But the dynamics and character of the supply side have changed too. Smaller, more nimble players are often much better at marketing (social media) and not afraid to sell directly online. 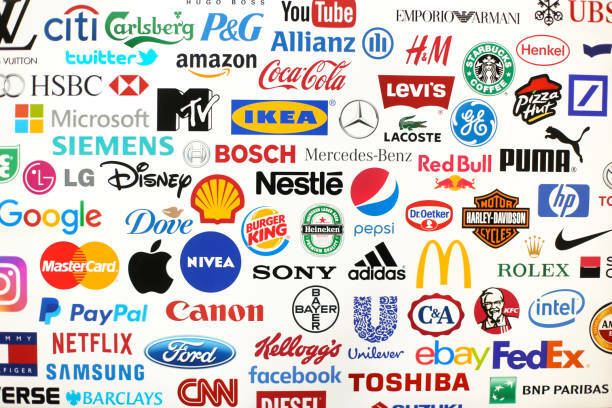 The mass market brands can’t move online to the same extent, due to their established retail relationships. Moving aggressivley into B2C would turn suppliers into competitors to their retail partners. Moreover most shoppers buy across various FMCG brands, rather than just from Unilever for example. In other words in many ways barriers to entry have come down for innovators. But then again, small scale players struggle to get financing, as the FMCG industry does not attract ventue capital as tech is able to. There are no VCs for consumer, in the same vein as for tech. All (real) innovation in the sector is also coming from small scale, craft/artisanal, online start ups. These players often display a real passion for their product and they don’t have a mass market target. Being nimble allows them to create individual one time experiences, exactly what the millenial shopper is looking for. This innovation head start is clearly a result of the benefits of being small. Small production runs allow these start ups to be highly innovative in new product development. (If the product flops, not that much capital will have been burnt). The players can be mobile, as they are not tied to production infrastructure, which they can just rent, when in demand. They can move on quickly without having to consider long term supply contracts and so on. And big FMCG multinationals have outsourced innovation because they aren’t nimble enough to do it themselves. They buy the innovation (too many examples to list). This development represents a real, clear and present danger to the FMCG industry. The fear is that over time the millennial shopper will stay with the artisanal/craft players and be lost to mass market brands. As in retail the reaction of the established multinationals is M&A, cost cutting, and raising synergies by becoming more efficient. Cost cutting has also been driven by 3G Capital, which has boosted profitability at Burger King and Kraft Heinz through big M&A. Massive cost cutting drives profit in the short term but hurts long-term as it exacerbates the problem of low R&D spend. P&G has been shrinking its business by reducing its brands from 170 to 65 since 2015. The company saved $750m by slashing its advertising and marketing agencies from 6,000 to 2,500 and aims to halve that number again. The question is whether being a fast follower will be good enough for the multinationals. But arguably this is only one side of the threat that the industry faces. Because Silicon Valley, big data, AI etc has also gotten involved. New product developments include plant based burgers/meat, meal replacement and “astronaut food” (such as Soylent) and personalised nutrition based on DNA profiles straddling the divide between health foods and medicines. Crucially all these tech innovations are backed by $bn in venture funding. But perhaps this threat is one for the future, rather than the immediate shifts we are seeing right now. Food & groceries is one of the largest industries in the world. Established FMCGplayers are losing market share and are bad at innovating. And we are also seeing an explosion of action in the long-tail. So are we headed for the next golden age of CPG? One big obstacle remains. Grocery retail is seeing its own wave of M&A and cost cutting, very similar to the situation in the FMCG industry. Examples include Ahold/Delhaize or Amazon/Whole Foods in the US/EU, Sainsbury/Asda in the UK, the Tengelmann carve up in Germany, and the various buying alliances in France. As the offline channel consolidates, it will become increasingly harder for small players to get noticed. And online is not a meaningful channel just yet – despite Amazon and Ocado. What good is the most innovative new product if it cannot be put on the shelves in front of shoppers? The discounters – for obvious reasons – are not helping. Firstly, they are mainly private label – overwhelmingly still. Secondly a Lidl has a SKU range of 3,500 products, so again the chances of a listing are small. This is especially so as they still operate on a one in, one out basis. Playing in a market where the channel to the consumer is dominated by just a handful of large players favours the bigger beasts. These retailers want volume. This means a FMCG company needs to be able to source raw ingredients in huge volumes, produce volume, and ship volume at scale . This is a huge ask, especially when considering that associated with this is hedging, real estate, employee renumeration and so on. Undoubtedly change is in the air for FMCG – but whether this change will mean a golden age for small players is far from assured. To us it looks like especially the smaller players will find it harder to get a listing – despite social media and direct selling – than in the past.